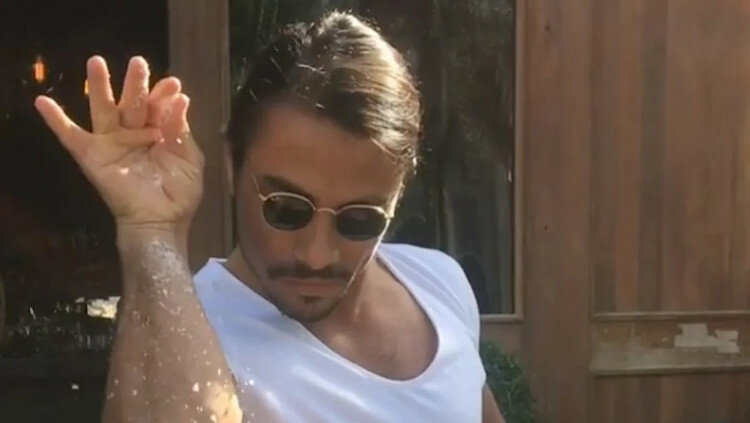 The chef who originated the hugely popular Salt Bae meme is set to open up a restaurant in London. Turkish head chef Nusret Gökçe went viral earlier this year after posting an Instagram video of him sprinkling salt on some steak, with his questionably sultry approach to seasoning his meat instantly becoming a hit online. Now Gökçe will bring his talents to the UK, with him telling Turkish newspaper Hurriyet that he will open up chains of his Nusr-et grill house in both London and New York in the coming months. Well now it looks like he’ll be blessing his meat in the UK from here on out, sprinkling his salt in the English capital. Is this going to be the best restaurant ever? Probably.